Friends of the Ballard Locks: It's Silver Time! Coho salmon are commonly called silvers because of their shiny appearance. 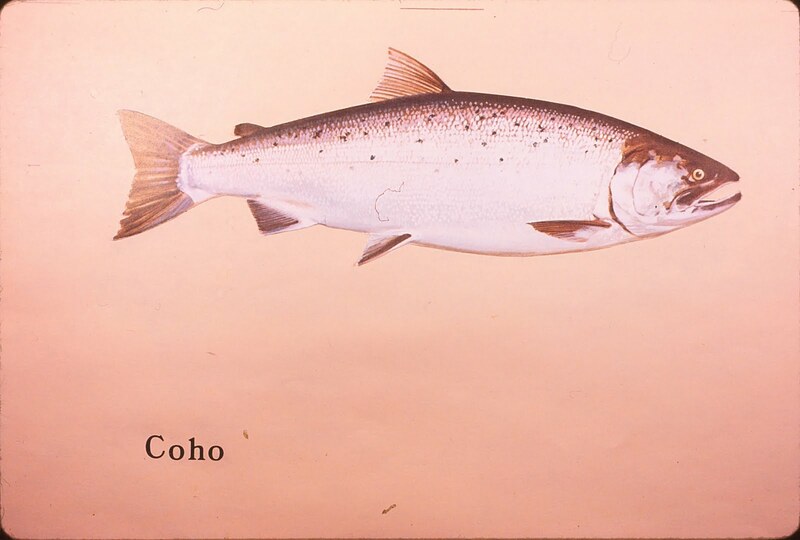 The coho run usually starts in mid-August and will peak around the second week of September, it is the last of the 3 salmon species to use the Lake Washington Ship Canal fish ladder. 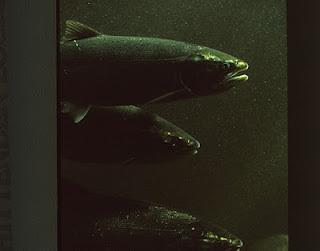 Coho return to spawn in their natal stream when they are about 3 years old, like all salmon species, the males develop the very distinctive hooked upper jaw (called a kype) and teeth in order to fight for dominance in the spawning beds. Some of the coho run will be returning to the hatchery in Issaquah, others will spawn in the local creeks where they were hatched. Coho are found along the Pacific coast from San Francisco to Alaska.